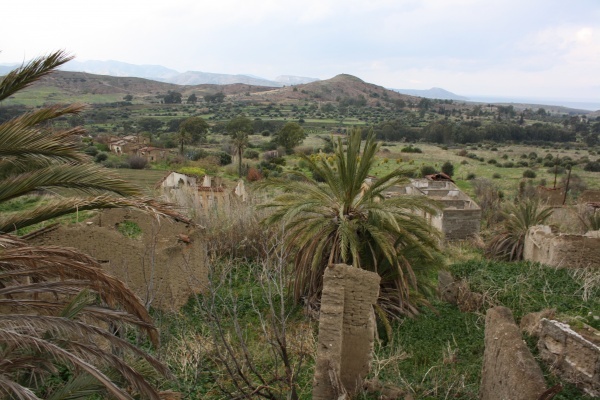 This report examines biodiveristy and social interaction in Cyprus’ Buffer Zone, as re-claimed by nature and human activity. The natural enviroment of the Buffer Zone remained largely ‘untouched’ for forty years, following the division of the island across ethnic lines in 1974. Since then UNFICYP, which formally manages the Buffer Zone, has worked in collaboration with Greek-Cypriot and Turkish-Cypriot authorities to support civilian uses and environmental protection. This case study shows how the limited human activity in the Buffer Zone by default preserved natural landscapes as well as endangered flora and fauna. Furthermore, the involvement of stakeholders in the administration of this area supported the development of co-management practices and institutions. As a result, ironically and paradoxically, new commons have been created in the very line of separation, such as common grazing grounds and mixed farming for both ethnic communities. The case study also looks at how the ecosystem of the Buffer Zone still conveys socio-ecological risks, such as the proliferation of pests or illegal human activities, such as the hunting of protected species. In short, the Cyprus Buffer Zone provides an interesting example of a socio-ecological production landscape that is both shared and contested. The island of Cyprus has been divided across ethnic lines since 1974, and in some areas since 1963. The current Buffer Zone was established as a cease-fire line on 16th of August 1974 and has been depicted over the last four decades as a demilitarized ‘Safety Zone’, a ‘Green Line’, a ‘Dead Zone’[i] or a ‘No-Man’s Land’ under UN control and authority. Even though poets, journalists, photographers and scholars contributed in the construction of an essentialized vision of the buffer zone as a mysterious empty space or ruinous site, with no life and activity worth mentioning, there are also works that expose it as a site of interaction and possibility (Papadakis 2005, Constantinou 2008, Antonsich 2013). This report will be concerned with forms of life and ways of being in the Buffer Zone, as it is currently re-claimed by nature as well as from mainstream and non-mainstream human activities. It will be approached as a socio-ecological landscape – shared but also contested. A production landscape that can support cross-communal collaboration and co-management in the midst of ethnic conflict as well as a good example of coexistence of the natural environment with human activity. 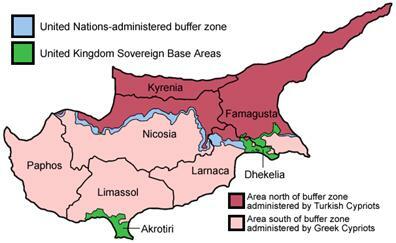 The Cyprus Buffer Zone divides the island into two parts: the southern part, controlled by the internationally recognized Republic of Cyprus (RoC) and the northern part controlled by the unilaterally declared and internationally unrecognized Turkish Republic of Northern Cyprus (TRNC). Consequently, it provides a border between a de jure and a de facto state; the former state defining it as a temporary limit of authority and the latter as an international border, which often intensifies dilemmas on whether one should or should not cross it, and if so under what conditions (Demetriou 2007). Some parts of the Buffer zone are porous and penetrable, especially entering from the south and outside the urban areas, and since the opening of the checkpoints in 2003 security concerns have significantly decreased making it more accessible. In addition, the de-mining of parts of the Buffer Zone over the last years have made it more amenable to human activity, including farming, grazing and beekeeping. Specifically, UNFICYP’s role has been to monitor human activities ensuring, on the one hand, that the integrity of the Buffer Zone is preserved, and, on the other hand, that ‘normal civilian activity’ can continue and be encouraged, where possible, i.e. without compromising security. [iii] In effect, UNFICYP has the authority to decide on a case-by-case basis whether a wide range of activities, such as the use of private property, farming, grazing, photovoltaic investments, educational centres, civil society meetings, trekking, and crossings from south to the north and vice versa constitute ‘normal civilian activity’ which can be allowed or not. In this report, we will concentrate on information concerning effective administrative approaches and co-management practices in the Buffer Zone that contribute to the conservation of biodiversity and traditional sustainable landscapes. In the first part, the Buffer Zone is examined as a shelter of endangered flora and fauna species, while in the second part, farming and grazing are addressed as practices that contribute to the conservation of heritage landscapes, which are otherwise increasingly reduced in non-Buffer Zone areas due to mass tourism and property development. Cyprus is considered as a biodiversity ‘hotspot’ with significant diversity in species, habitats, flora and fauna (Gücel et. al 2008). Cyprus’ geographical position and use as a migration route, its diverse geomorphological landscape, the extreme fluctuations of temperature and rainfall have contributed significantly in the development of rich biodiversity on the island (Kadis et. al 2010, p.114). In particular, 48 habitat types that are included in the European Habitats Directive (92/43/EEC) Appendix I, are met in Cyprus, including habitats which are found exclusively on the island. The existence of diverse habitats results in considerably large numbers of plant species. Currently, 2000 taxa have been identified, out of which 145 are identified only in Cyprus (Hadjikyriakos 2007 cited in Kadis et. al 2010, p.114). Nonetheless, biodiversity preservation is facing challenges and threats related mainly to human activities such as tourism development, urbanization, unhindered construction, climatic change, pollution, rural abandonment, invasive species, illegal hunting, overgrazing and forest fires (Department of Environment 2010, p.29). Based on recent evaluations of the conversation status of the island, 23 taxa are classified as ‘regionally extinct’, 46 as ‘critically endangered’, 64 as ‘endangered’, 128 as ‘vulnerable’, 45 as ‘data deficient’, and 15 as ‘near threatened’. Interestingly, the pressure and threats posed on habitats and species, from external factors such as human activities, are reduced significantly in the Buffer Zone. Similarly to the demilitarized zone of Korea (Kim, 1997) or the Iron Curtain in Germany,[iv] the Cyprus Buffer Zone provides a haven to endangered flora and fauna species. The results of the survey revealed that rare species flourish in the Buffer Zone such as hares Lepus europeus cyprium and an endemic mouse Mus cypriaca (Gücel et. al 2008). With regard to birds, significant populations of species that face habitat loss outside the Buffer Zone were recorded such as the Eurasian thick-knee Burhinus oedicnemus, Northern lapwing Vanellus Vanellus and Calandra Lark Melanocorypha calandra (Gücel et. al 2008; Jarraud 2008, p.9; Kassinis, Personal Interview, 20 January 2014). For these priority bird species the Buffer Zone proved to be a life saviour refuge since they are declining in numbers outside of the Buffer Zone (Kassinis, Personal Interview, 20 January 2014). According to the herpetological study, more common species were also found in the Buffer Zone, such as lizards (especially geckos and skinksand), hedgehogs Hemiechinuc auritus, foxes Vulpes vulpes indutus, the Cyprus Large Whip Snake Dolicophis jugularis cypriacus (Göçmen et al. year not available) and the fresh water terrapin (turtle) (Jarraud 2008). One of the species that proliferates mostly in the Buffer Zone is the mouflon Ovis orientalis ophion, an endemic wild sheep (agrino) that is considered as endangered and protected under Cypriot and European legislation. The Cypriot mouflon is the largest terrestrial wild mammal on the island and inhabits the north-western Troodos mountain range. Being present in the island for at least 10,000 years it has become a national symbol. The mouflon was under severe threat of extinction in the early 1970s (Kassinis, Personal Interview, 20 January 2014; Ioannou et. al 2011). This led to the development of breeding programs and strict monitoring and surveillance on behalf of the Game Fund and Veterinary Department. In the late 1990s the population increased to around 800 and nowadays it is estimated that it has reached approximately 3,000 animals (Kassinis and Papageorgiou 2000 cited in Ioannou et. al 2011). In interviews we had with forestry department officials in June 2012, it was unequivocably suggested to us that the national programs of breeding and protection would not have been as successful had the Buffer Zone not existed. Also, according to Jarraud (2008, p.10), the ‘Cyprus Buffer zone has become a de facto environmental sanctuary’, for the mouflon as well as other species. This argument is further supported by the biodiversity survey of Soyumert and Gücel (2010, p.147), which claims that ‘Varisheia has the highest species richness’. Varisheia is an abandoned village in the Buffer Zone that nature and mouflons have now ‘invaded’ and inhabit its empty houses. It is estimated that approximately 300 mouflons find shelter only within the deserted village and its surroundings (Grichting Solder et. al 2012, p.58). The mouflon benefitted from the existence of the Buffer Zone as it created some wild life corridors, given the natural route of some rivers from the southern to the northern part of the island. In addition, the open land grass habitat, the sufficient number of escape hills, and more importantly the lack of any human activity and habitat fragmentation encouraged the mouflon to thrive in the Buffer Zone (Kassinis, Personal Interview, 20 January 2014). Not only fauna benefitted from the Buffer Zone but also endangered flora species. Some of the rare plants that found shelter and proliferate in the Buffer Zone are the Mandragora officinarum (Gücel et. al 2008), the endemic Tulipa cypria (Cyprus tulip) and Ophrys kotschyi (Kotschyi’s orchid) (Jarraud 2008, p.9). According to the Habitats Directive, Article 6, all European Union member states should take the necessary measures in order to ensure the protection of ‘species and habitats at a favourable conservation status’ (Kadis et. al 2010, p.115). To this end, the UNDP and the European Commission funded another project of Greek- and Turkish-Cypriot scientists, with the overall objective to cooperate in the conservation of endemic, rare and threatened plants identified in the Buffer Zone. [vi] For this purpose, the experts established two Plant Micro-Reserves[vii] (PMRs) in the Buffer Zone, near Mammari and Denia villages. [viii] The experts developed an inventory of the endemic, targeted plants and on-site management plans of the PMRs. In addition, the ex-situ conservation of the rare plants contributed in the enrichment of the existing populations of targeted taxa. Both bicommunal projects funded by the UNDP have been included in the United Nations’ Development Group, Millennium Development Goals Good Practices (2010, p. 51, 61). This publication presents best practices that address various challenges or obstacles to the achievement of the Millennium Development Goals. The conservation of endangered flora and fauna within the Buffer Zone, thus reveals how the division line can be a site of contestation but can also be transformed into a cooperation zone between the two rival communities, sharing local and scientific knowledge and targeting the common objective of protecting and restoring biodiversity for current and future generations. It is something that enhances sustainable peacebuilding on the island through bottom-up diplomacies that pursue common interests, through transnational and eco-centric perspectives (Constantinou and Der Derian 2010). 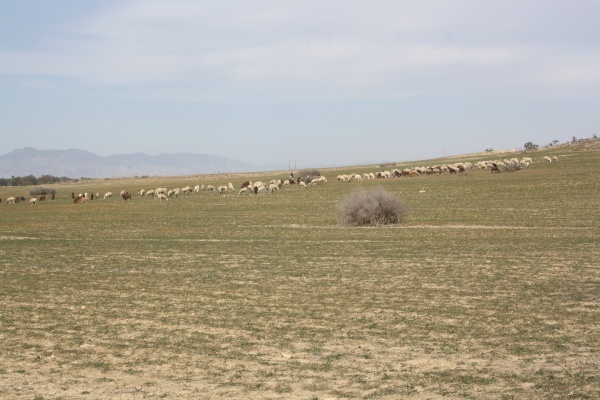 Another success story that enhances multi-perspectival sustainability is the effective co-management of farming and grazing activities in the Buffer Zone. As mentioned above, based on the UNFICYP mandate to support the continuation of normal civilian activity, the Civil Affairs Section developed a ‘permit system’, which grants on a yearly basis the so called ‘buffer zone pass’ to civilians so as to proceed with authorized activities such as farming, grazing or working in the case of buildings’ restoration or construction and maintenance of public infrastructure. As a result, some areas of the Buffer Zone are to a great extent easily accessible, in comparison with others that are extremely difficult to access. Walter Absmann (Personal Interview, April 1, 2014), who has been in the UNFICYP for 8 years and served also in Bosnia and Herzegovina, Western Sahara, Sudan and the Golan Heights, has highlighted the uniqueness of the Cyprus Buffer Zone:. ‘The civilian activities have increased in the last decade; now that everybody can travel to the north, people are more relaxed. It is the only Buffer Zone in the world that is like this. In other parts of the world, such as the Golan Heights, you will see a fence. What you have in Cyprus is a busy buffer zone’. 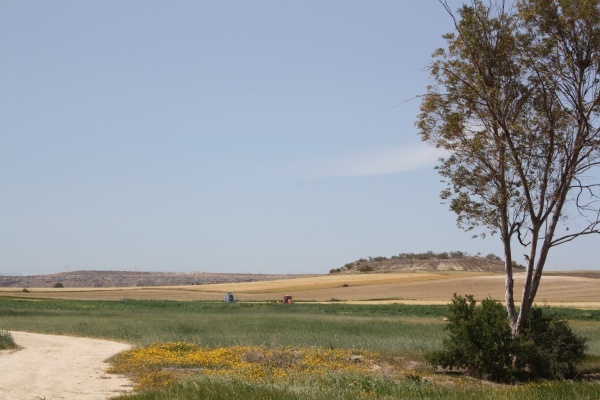 The farming permit allows Cypriots from both sides of the divide to cultivate their land or rent it to someone else from their community or from the other community. 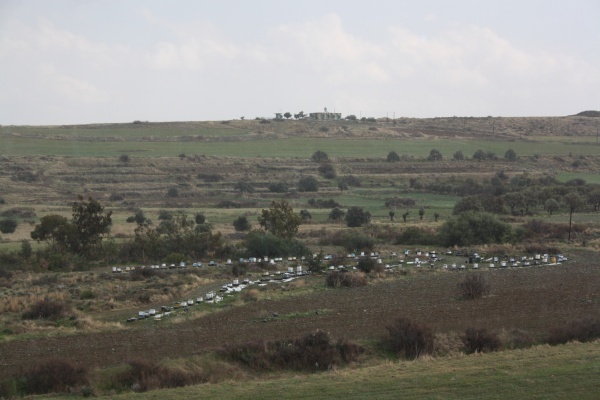 Usually, Greek Cypriots are allowed to farm or graze southern from the UN ‘patrol line’ within the Buffer Zone and Turkish Cypriots on the northern side of the line, but there are exceptions to this rule. In addition, there areas that are defined as ‘mix farming areas’ by UNFICYP. Specifically, in the Buffer Zone area in between the villages of Lympia, Lourountzina, Potamia and Dali, the UN has chosen to have only a scarce and light-hand administration of the activities that take place. The locals in this area in fact requested to the UN not to enforce the ‘permit system’ in that part of the Buffer Zone, as collaboration between Greek-Cypriots and Turkish-Cypriots at the local level is exceptionally good. As Walter Absmann pointed out ‘the muhtars (presidents of the community councils) from both sides get along so well that they have asked the UN to back off. They basically told us “we don’t need you guys”’ (Personal Interview, April 1, 2014). The muhtars and locals as indigenous peacemakers have therefore successfully replaced the role of UNFICYP in this area of the Buffer Zone. Interestingly, farming and grazing is much more evident in this specific region vis-à-vis any other area of the Buffer Zone that is controlled and managed exclusively by the UN authority and the ‘permit system’. This success story of co-management of the Buffer Zone between the local communities and UNFICYP, contributes much in the protection and preservation of agricultural practices and landscapes, which are drastically declining elsewhere due to the growth of tourism and third sector services. Over and above, the UN Buffer Zone has recently provided ‘space’ for non-conventional agricultural activities, such as organic farming. According to Markou and Kavazis (2006), Cypriot farmers ‘find refuge in the continuous use of fertilizers, which are sometimes overused’. The small size of the island and the constant use of fertilizers constitute a challenge to efforts to introduce organic farming at a local level. Nonetheless, since 2006 the Bishopric of Morphou managed to overcome this challenge and introduced organic farming in an area of approximately 100 hectares near Zodeia village, in the UN Buffer Zone. The area is considered as ideal for introducing non-conventional agricultural activities, again due to the limited human activity in the region and thus the opportunity to use organic farming methods with limited influence from external factors. While the Buffer Zone provides an eco-laboratory for scientists to investigate what happens to biodiversity when nature is left ‘untouched’ for decades, a shelter for endangered flora and fauna species, and a space of heritage landscape preservation, its peculiarity is not without socio-ecological risks. One risk is the proliferation of pests, such as wild dogs who are well integrated into the ecosystem as dominant predators. According to Nicolas Jarraud (Personal Interview, 9 December 2013) this is the first time in the recorded (recent) history of the island that the ecosystem hosts a larger predator and in the form of dog herds. The largest predator that the Cyprus’ ecosystem have had was the fox, so in a sense a ‘new ecosystem is developed in the Buffer Zone, which creates a new food chain but also problems such as attacks to humans and domestic sheep’ (ibid). Another significant problem related with wild dog herds is the transmission of diseases such as echinococcus, which poses a serious health risk for humans. Lastly, another risk is related with illegal human activities in the Buffer Zone, which some of them have a significant environmental impact. The Buffer Zone ecosystem with its rich biodiversity and limited human activity is attractive for illegal hunters and bird trappers. As admitted by both the UNFICYP officer Walter Absmann and Nikolas Kassinis, Game Fund Officer, poaching is regular but it is extremely difficult to monitor and control. Moreover, some areas of the Buffer Zone are known as hotspots for illegal transfer of goods, livestock and humans. The Buffer Zone is often represented as the entrance point of illegal migrants from the north to the south part of the island. The Cyprus Buffer Zone provides a good – though not unproblematic – example of a socio-ecological production landscape. Whereas in both parts of divided Cyprus, unsustainable models of development and environmental exploitation have been prevalent, the Buffer Zone regime has established limitations to human and economic activity and to that extent more sustainable forms of development and biodiversity protection are more readily pursued or pursued by default. As shown above, agricultural landscapes that are under severe threat elsewhere due to property development are thriving in the Buffer Zone. Moreover, the necessarily more limited human activities in the Buffer Zone have preserved old natural landscapes and established new ecological safe havens and green zones, which support more sustainable and reflexive interactions between people and nature. Finally, the peculiarity of Buffer Zone administration has ‘forced’ the development of co-management practices and institutions between the different stakeholders so as to regulate civilian activity. Thus bicommunal technical committees have been established, working with the support and under the auspices of the UNDP for environmental protection. Without belittling the effects of ethnic cleansing and displacement, we have seen in some areas of the Buffer Zone the creation of new commons, such as common grazing grounds and mixed farming for both ethnic communities that has not been elsewhere possible following the division of the island 40 years ago. 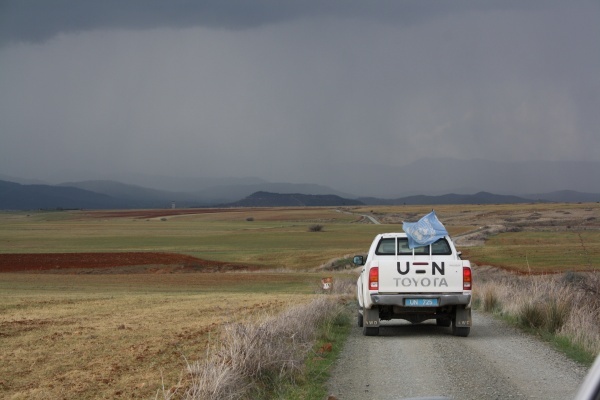 This co-management has sometimes taken the form of official collaborations and agreements at the governmental level, often with the mediating assistance of the UN, but sometimes more successfully at the local level, through civilian and inter-village networks, that the UN is careful not to disturb through bureaucratization and the omnipresence of UNFICYP. In a nutshell, the development of the Buffer Zone as a socio-ecological landscape has been possible through creative UN peacekeeping – i.e. by designating parts of it for civilian use, progressively extending these areas and activities that ‘normalize’ conditions of living and supporting technical collaboration in protecting biodiversity – but also by withdrawing robust peacekeeping and providing only for symbolic presence, where local cross-ethnic partnerships and networks have been successful in managing life in the Buffer Zone on their own. ANTONSICH, M. (2013). ‘OccupyBufferZone’: practices of borderline resistance in a space of exception. Area, 45(2), 170-178. CONSTANTINOU, C.M. (2008) On the Cypriot States of Exception, International Political Sociology 2:2, pp. 145- 164. DEMETRIOU, O. (2007). To cross or not to cross? Subjectivization and the absent state in Cyprus. Journal of the Royal Anthropological Institute, 13:4, 987-1006. Department of Environment, Ministry of Agriculture, Natural Resources and Environment (2010) Fourth National Report to the United Nations Convention on Biological Diversity: Cyprus, Nicosia: 2010, viewed 20 April 2014, https://www.cbd.int/doc/world/cy/cy-nr-04-en.pdf. Game Fund, Ministry of Interior, Republic of Cyprus (2000) Report on the endemic Cyprus mouflon: Population status and conservation (Authors: Kassinis N. I. and Papageorgiou K.). GÖÇMEN B., KAŞOT N. and AKBORA H.D. (n.d.) Results of the Herpetological Trips to the Buffer Zone of Cyprus, Unpublished Report of UNDP Project “Biodiversity of the buffer zone in Cyprus” (UNDP 47401-07-005). GRICHTING S., CASTRILLO M.C., KESZI S. and FRANGOUDI G. (2012) Stitching the Buffer Zone: Landscapes, Sounds and Trans-Experiences along the Cyprus Green Line. Nicosia: Bookworm Publication. GÜCEL, S., CHARALAMBIDOU, I., ÖZDEN, Ö., KARATAŞ, A., GÖÇMEN, B., SOYUMERT, A. and FULLER, W. (2008) Monitoring biodiversity of the buffer zone in Cyprus. Poster Paper In: Monitoring Biodiversity in Europe, Volunteers, Efficiency and Costs Conference, Leipzig, Germany 28-30 January 2008. HARRIS S. E. (2007) Colonial Forestry and Environmental History: British Policies in Cyprus 1878-1960, PhD Thesis, Austin: University of Texas, viewed on 23 April 2014, Open Thesis Database. HADJIKYRIAKOS G.N. (2007) Aromatic and Spicy Plants in Cyprus, Nicosia: Bank of Cyprus Culture Foundation. IOANNOU I., SANDALAKIS V., KASSINIS N., CHOCHLAKIS D., PAPADOPOULOS B., LOUKAIDES F., TSELENTIS Y., PSAROULAKI A. 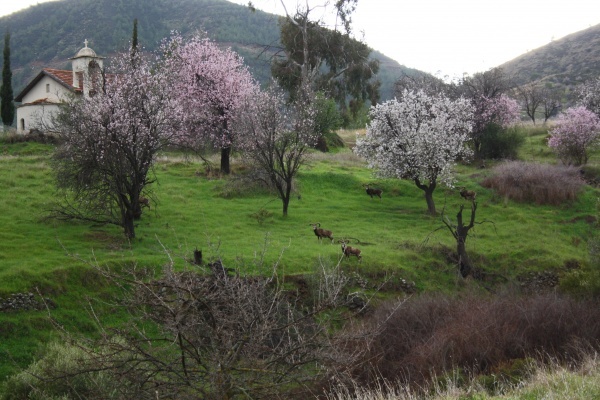 (2011) Tick-borne bacteria in Mouflon and their ectoparasites in Cyprus. Journal of Wildlife Diseases, 47(2), pp. 000-000. JARRAUD N. (2008) Hawks, Doves-and Wild Sheep. Development and Transition, newsletter, United Nations Development Program and the London School of Economic and Political Science, April 2008, Issue 9. KADIS C., PANTAZI C., TSINTIDES T.C., CHRISTODOULOU C.S., THANOS C.A, GEORGHIOU K., KOUNNAMAS C., CONSTANTINOU C., ANDREOU M. and ELIADES N.G. (2010) Establishment of a plant micro-reserve network in Cyprus for the conservation of priority species and habitats. In: TOP Biodiversity 2010 Conference Proceedings, Larnaca: Intercollege, pp. 113-119. KIM K.C. (1997) Preserving Biodiversity in Korea’s Demilitarized Zone. Science 278, pp.242-243. MARKOU M. and KAVAZIS A. (2006) Agricultural situation report of Cyprus and the market and trade policies for fruit/vegetable and olive oil, In: No. 0070, 98th Seminar of European Association of Agricultural Economists, Crete, Greece: June 29-July 2, 2006, viewed on 20 April 2014, http://ageconsearch.umn.edu/bitstream/10070/1/sp06ma13.pdf. PAPADAKIS Y. (2005) Echoes from the Dead Zone: Across the Cyprus Divide, New York: I. B. Tauris. SCHWÄGERL C. (2011) Along scar from iron curtain: a green belt rises in Germany, Yale Environment 360: Opinion, Analysis, Reporting and Debate, 4 April 2011, viewed on 19 April 2014, http://e360.yale.edu/feature/along_scar_from_iron_curtain_a_green_belt_rises_in_germany/2390/. SOYUMERT A. and GÜCEL S. (2010) Camera –trapping for large and medium-sized mammals in the buffer zone of Cyprus. In: TOP Biodiversity 2010 Conference Proceedings, Larnaca: Intercollege, pp. 145-152. United Nations Development Group (2010) Millennium Development Goals Good Practices, viewed on 15 April 2014, http://mdgpolicynet.undg.org/?q=node/11. [i] The term ‘dead zone’ is a translation of the Greek term nekri zoni, that is widely used to describe the demilitarized zone that divides the . [v] The areas of the Buffer Zone examined were the following: Derynia, Ag. Nicolaos, Troulli, Kaimakli, Pedieos River, Nicosia Airport, Astromeritis,Varisheia and Kokkina. [vi] The project was initially funded by the United Nations Development Program and after its completion it was extended by grants received under the LIFE+ program of the European Commission. [vii] The PMR is a considered a successful conservation method that ‘envisages the monitoring and conservation of small land plots ( 5-20 ha) of great value in terms of plant richness, endemism and rarity’ (Kadis et. al 2010, p.114).